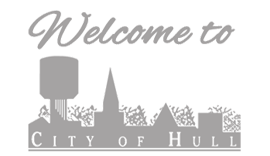 The Hull Area Chamber of Commerce is a progressive organization which works hard to create growth, promote business & connect people. A strong sense of COMMUNITY is our main focus! Businesses, Schools & Residents of Hull are what make our community a great place to be! The Hull Area Chamber is here to connect all of these areas together, from answering inquiries from newcomers to sponsoring promotions that encourage local shopping, to creating community spirit with family friendly events held throughout the year. Businesses and individuals can support the chamber through annual membership dues and involvement in the committees that organize Chamber activities. 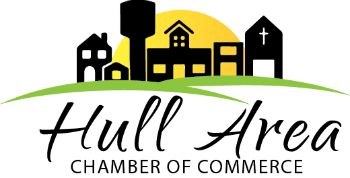 The Chamber is a non-profit organization that is governed by a five-member executive board. The Executive Director is employed to execute chamber policies, programs and organize city-wide events & fundraisers. Window will open in a new tab.